If you've downloaded our 7 day flat belly clean eating diet plan you'll know we cut carbs from either lunch or dinner. Within this diet plan we tend to stick to fish and poultry for our primary protein source. In our last post we gave you seven chicken recipes for faster fat loss. Here we've found seven salmon recipes to keep your palet excited. Salmon has long been rated as one of the most nutritious foods on the planet and is one of the better fish options to choose from with many benefits. It is super high in quality protein with over 20g of protein per 100g which is essential for muscle growth and repair during weight loss. Salmon is rich in essential omega 3 fatty acids which are important for lowering cholesterol, reducing inflammation and more specifically for you helping to metabolise old fats within the body. Something you may not have known about salmon is that it's actually very high in many B Vitamins which are responsible for several roles within the body such as metabolising food into energy, creating and repairing DNA and reducing inflammation. As you can see there are many benefits to eating salmon especially when you are trying to lose weight. 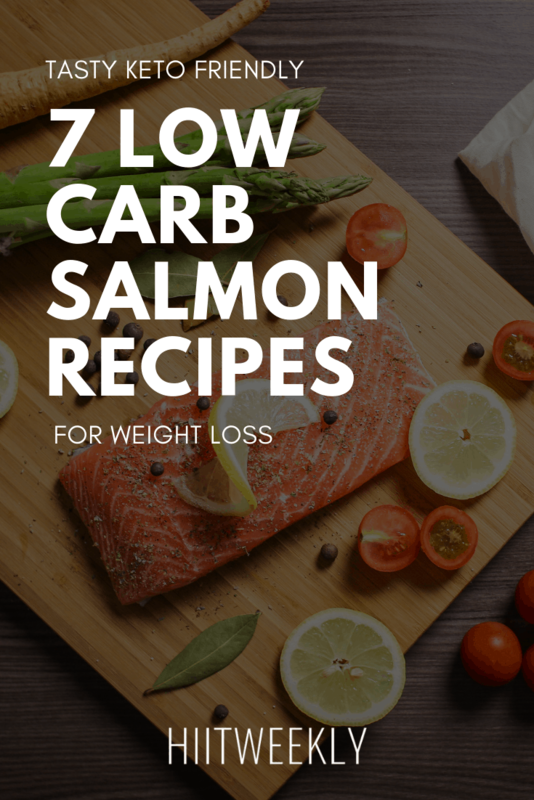 We wanted to find seven quick, easy and simple low carb salmon recipes to aid in your weight loss and here they are. If you've tried and liked the parmesan chicken you'll enjoy these. Parmesan makes everything taste better. It goes well with the asparagus all baked in one pan. Its dead easy to prepare and cook. 10 minutes to prep and cook in just 20 minutes. Great weeknight dinner. The recipe uses three large fillets of salmon at about 200g each which is a lot. Typically 130-150g would be enough. If you follow the recipe provided stretch the serving size from 3 to 4 or 5. You may need to add more veg. Another pan recipe for a quick minimal mess dinner. Fan of teriyaki? Well you'll enjoy trying this one. It plenty of veg all thrown onto a pan and baked in 20 minutes. The recipe has the ideal amount of protein at 31g but is low in calories at just 240 calories. You'd probably want to increase your serving size slightly of either the vegetables of salmon. This is a beautiful looking meal vibrant in colour at just 475 calories per serving. Great if you're trying to impress a friend or your trainer with your healthy eating. It's a very light meal with fresh lemon and lots of yummy ingredients. It would also be perfect for lunch the next day. The recipe uses chopped lettuce, kale and spinach, bell peppers and red onions for crunch, baby tomatoes for sweetness and a tasty dressing to bring it all together. 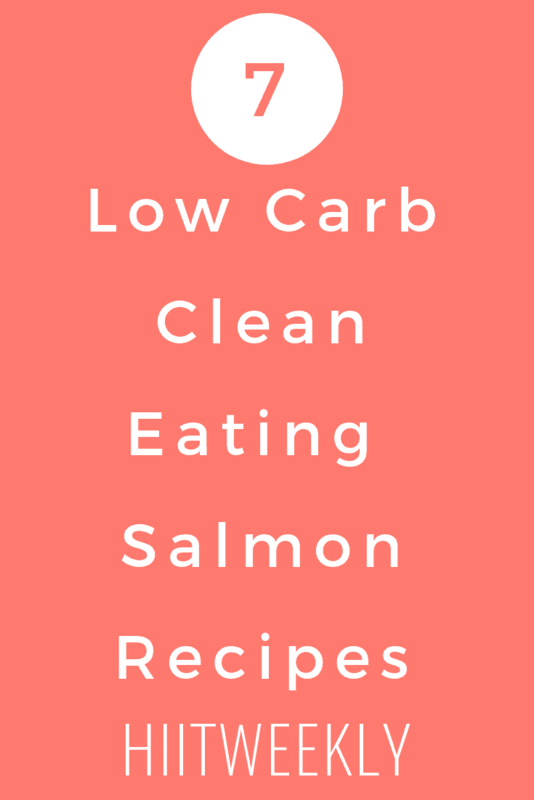 Salmon salads are great for fat loss. So light and fresh they motivate you to be good and stay on track. There's something about them that makes you feel great. This salmon salad is so simple its great with Mexican inspired flavours. It uses an Avocado dressing which you can get the recipe for that here. Personally I'd skip this unless you really want to try it. There should be enough flavour from the salmon on its own unless you over cook it of course. This is one of our favourite salmon recipes, sweet chili and lime with fajita flavours and peppers for sweetness. We usually add a load more green veg like broccoli for more nutritional value. We'll put up our version soon. Just throw everything on one pan and cook. It's a must try. Use the salmon the next day over a salad for lunch. The first pan fried salmon on our list! Stir fries are fun and easy to do, who doesn't love a stir fry. You have your seasonal greens, fresh ginger lots of delicious flavours and of course your protein packed salmon. A serving has a nice 475 calories making you fill full and satisfied. We are huge fans of Tasty.co if you haven't seen them on YouTube already, they basically walk you through recipes to follow. In this recipe they pan fry the salmon and add boiled broccoli to round off the dish. It's very easy to follow and of course it's tasty! Remember you can add carbs to these but keep them within the clean eating rules. If you haven't downloaded our free 7 day meal plan click here. It comes with 7 full days worth of meals and accompanying recipes.